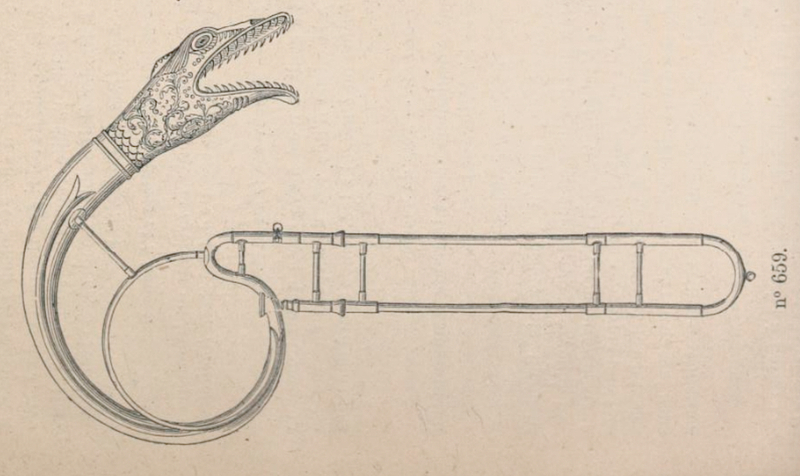 Added this caption/image to the Trombone History Timeline (19th century, 2nd half). 1884—Paris, France: Gustave Chouquet’s catalog of holdings of the Paris Conservatory includes a print of a buccin, or trombone with dragon-head bell (see below image; public domain) (Chouquet 161). ← Chocolate and Ophicleide, Advertising Pair?